There have been only two instances when I have cried, with regards to cricket. One was the infernal disaster that was the 1996 World Cup semi-final at Calcutta. As a ten year old who fell in love with the game during that tournament, I felt cheated that I didn't get the dream finish that I had hoped, with India lifting the trophy. magnitude of the defeat and was left wallowing at another despairing end to a World Cup campaign, my eyes rested on a slight man dressed in bright yellow and holding the World Cup in his hands, with the widest grin on his face. In 121 balls of mayhem, the Australian captain destroyed the hopes of an expectant nation. At that moment, I hated Ricky Ponting in a very visceral way. Funnily enough, till that point, Ponting aka Punter was one of my favorite international players. Three years earlier, I was fortunate enough to meet him in person when he had come to my school on a promotional visit. He was offering batting tips to a select few of the school cricket team, and the thing that struck me most about him was the grin. He was very cheerful, made us all feel at ease, cracked a few jokes in his Tasmanian accent (which most of us could not understand anyway! ), and at the end, we all left feeling richer for the experience of interacting with a world class player who was surprisingly down to earth. From that day, he jostled with Jonty Rhodes and Wasim Akram for the spot of ‘my favorite international cricketer’. All that changed on the evening of March 23, 2003. Since then, through the years, I have grown to dislike Punter. I have grudgingly acknowledged his successes, rejoiced in his failures and mocked his various mis-steps. He has played numerous memorable knocks (many of them against India! ); knocks which stood out for their imperiousness, savagery and a brutal finality. Still, it was easier to dislike him than most other batting stars. He fit the image of the ‘ugly Aussie’. There have been many finger-pointing incidents with umpires, and he was never shy of initiating a sledging contest with the opposition. He has shouted at the coach of the opposition, broken a TV set in the dressing room, had on-field discord with team-mates; and I’m not even getting into the pre-2000 battle with alcohol, which he eventually overcame. All these were sufficient ammo for his detractors, including myself, because we had nothing else to go after; to put it simply, he was that good a batsman. Ponting once said after the ill tempered 2007 series against India, “I don’t expect everyone to like me. I am here to do a job, and that is to win matches for Australia”. Well, he did that alright. For close to a decade, he was one of the best batsman of his generation and most of his records will stand the test of time. Like him or not, there was no disputing the quality of Ricky Ponting. Over the last couple of years, my strong feelings have dissipated. His recent failures reminded me, that at the end of the day, he is a mere mortal whose powers are on the wane. Throughout the cricket world, people who once treated Ponting like their personal foe, started to feel sorry for him and wished that he would go out on a high. 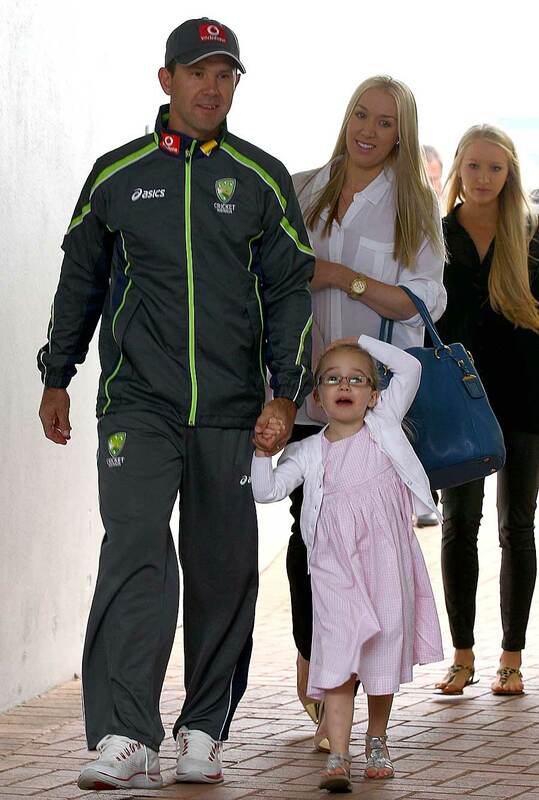 Being the proud man that he is, Ponting might have figured out that this was his cue to leave the arena. Looking back, I can’t believe how much Ponting got in to my head over the years! Ever since that World Cup final loss in 2003, I looked forward to contests with Australia more than any other team. I wanted the Aussies to be thrashed, so that I could rejoice at the sight of a disappointed Ponting; because one look at his face after a loss, told one how much he hated to be on the losing side. In that respect, he gave me many occasions to gloat; Adelaide 2003, Mohali 2010, Ahmedabad 2011 – were all the sweeter as it came against Ponting’s Aussies. Of course, there is no shortage of the opposite results, where I have been absolutely disgusted about defeats, none more than the recent four nil drubbing last year. Still, after a career spanning 17 years, Punter has earned my respect, if not my grudging admiration. As much as I loved to hate him for his excessive liking to Indian bowling and prickly behavior, it is hard to deny the fact that he made me that much more passionate about the game and inadvertently led me to appreciate his greatness. I won’t go as far as saying that there will be none like him, but I’m grateful that I got to witness the career of one of the most remarkable batsmen in the history of the game, warts and all. Best wishes, Punter; you inglorious basterd.